HÀ NỘI – The Party and State value Vietnamese intellectuals and scientists, as well as their contributions to the nation’s development, said Prime Minister Nguyễn Xuân Phúc. During a meeting with 300 outstanding intellectuals and scientists from all over the country yesterday in Hà Nội – just ahead of the Tết (Lunar New Year) holiday – PM Phúc conveyed his gratitude to scientists for their contributions while stressing the importance of science and technology to the country’s development. 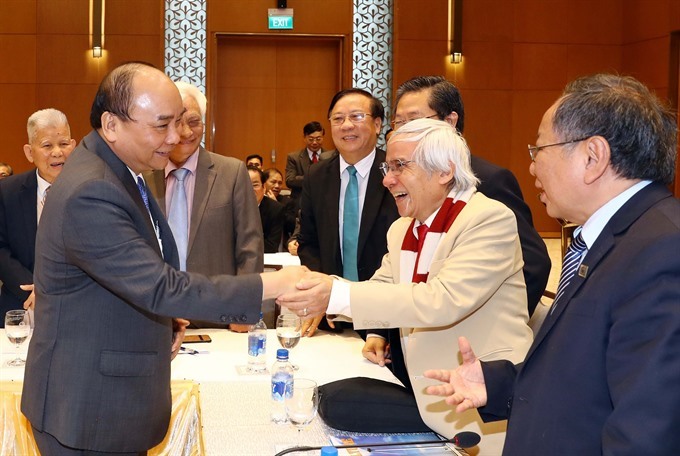 He noted that Việt Nam had signed a co-operation agreement with the WEF to build a technological centre in Việt Nam that would be connected to other similar centres in the US, the EU, China and India. The PM called on intellectuals and scientists, including those living abroad, to make more contributions to national development to turn Việt Nam into a high-income country in the future. He asked for more efforts in adapting to climate change; ensuring energy security; and promoting healthcare, agriculture and social sciences.